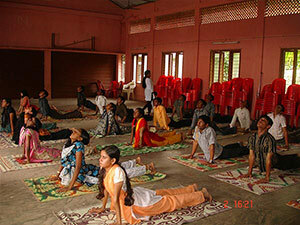 Yoga is union of body conscious with the subconscious. Jivatma & Paramatma. Its origin is the beginning of mankind. Yoga is the science of healthy & better living, Physical, Mental mood, Intellectual & spiritual. To control the mental modification of mind & its regulation is Yoga. Overall development of personality has griming knowledge of self to develop oneself physically mentally & spiritually & solution to all the problem.